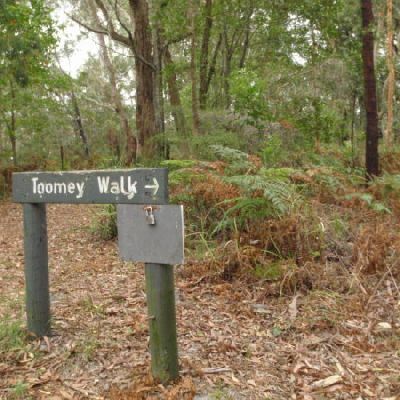 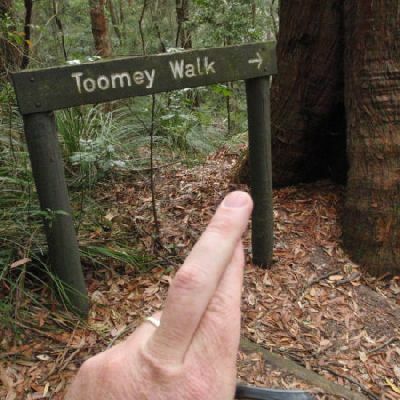 This image is near the Int of Toomey and Guringai Walks. 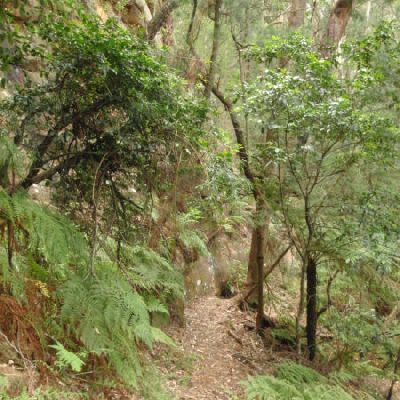 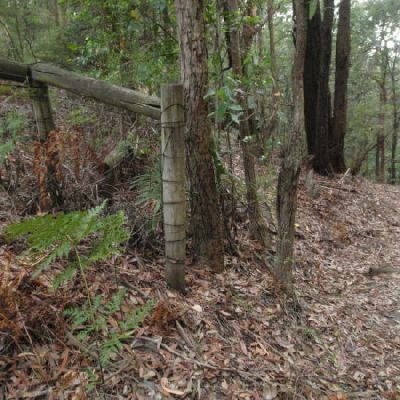 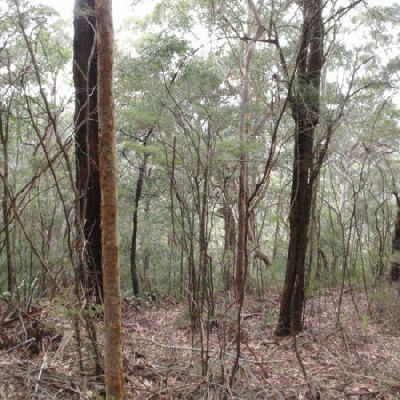 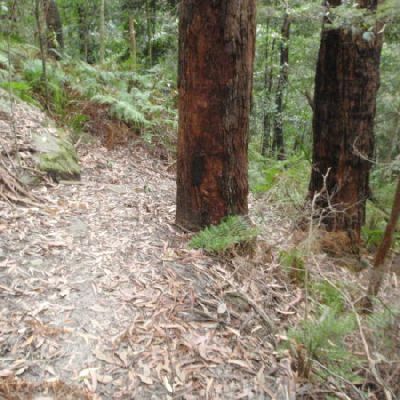 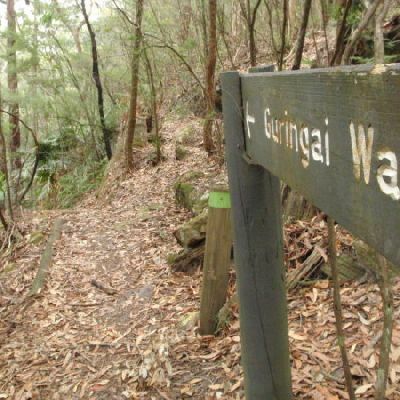 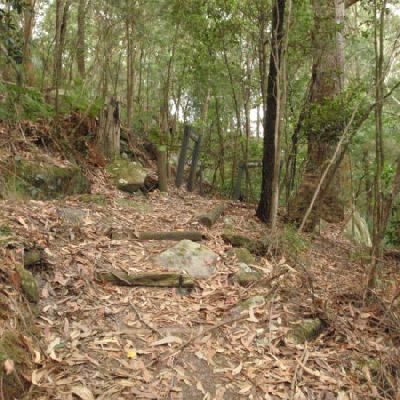 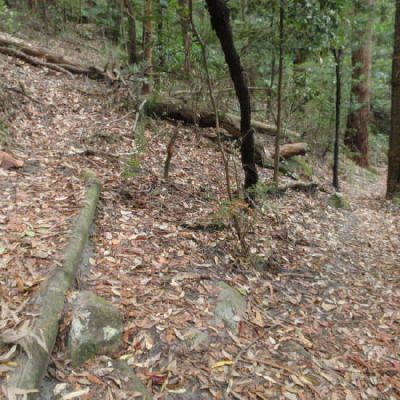 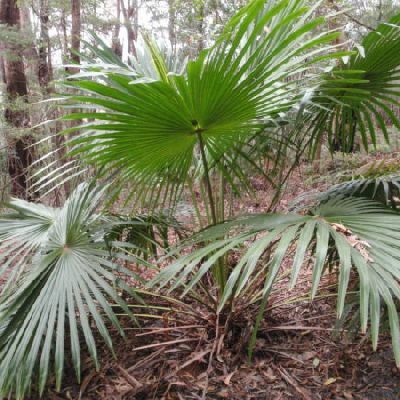 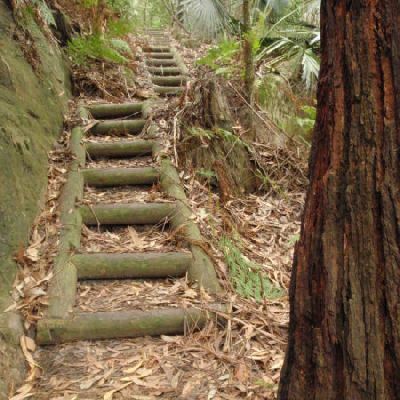 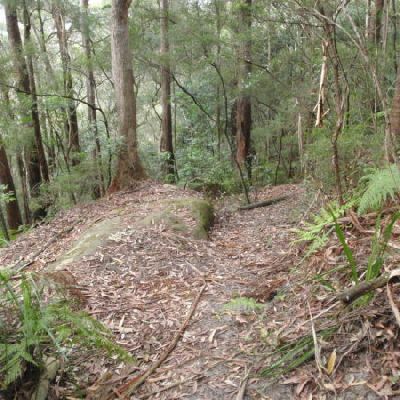 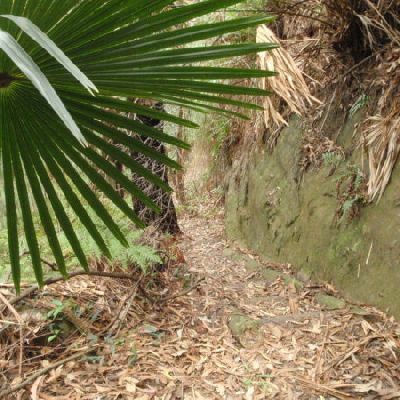 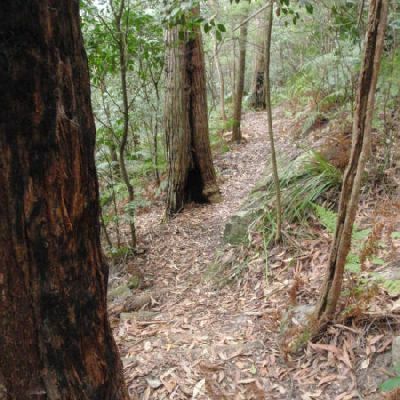 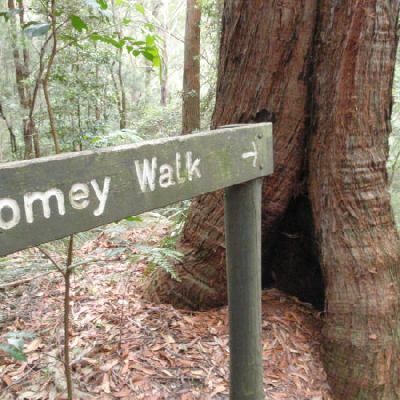 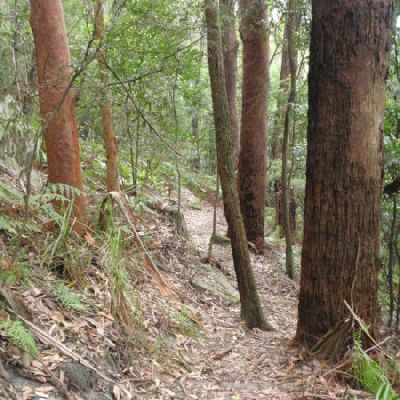 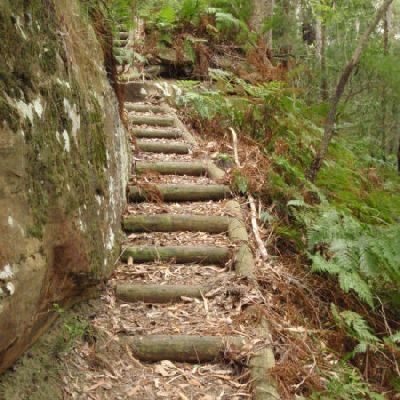 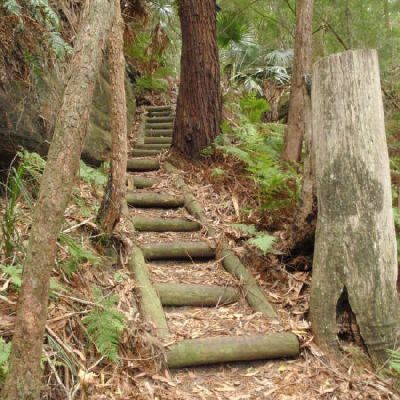 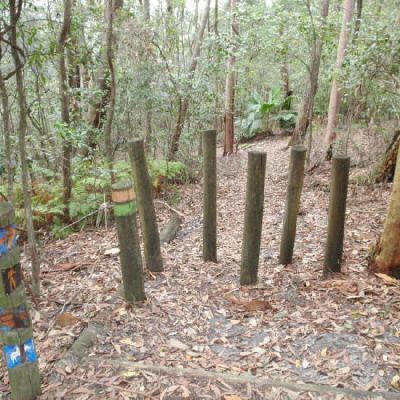 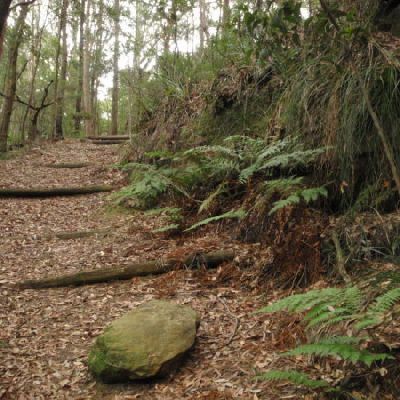 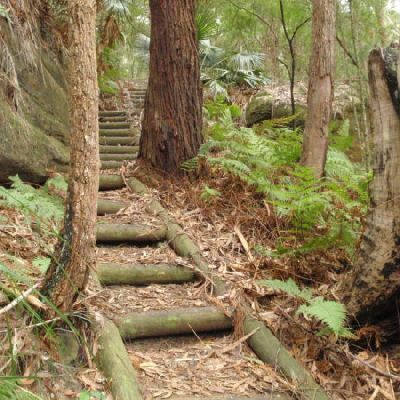 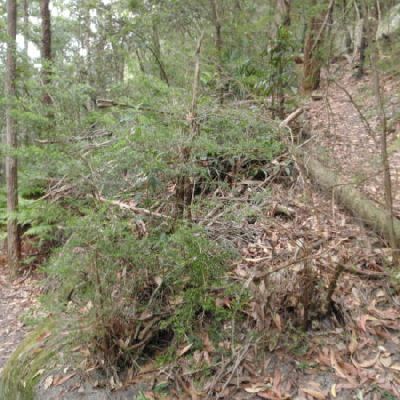 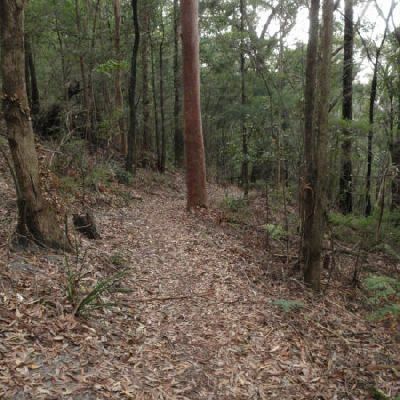 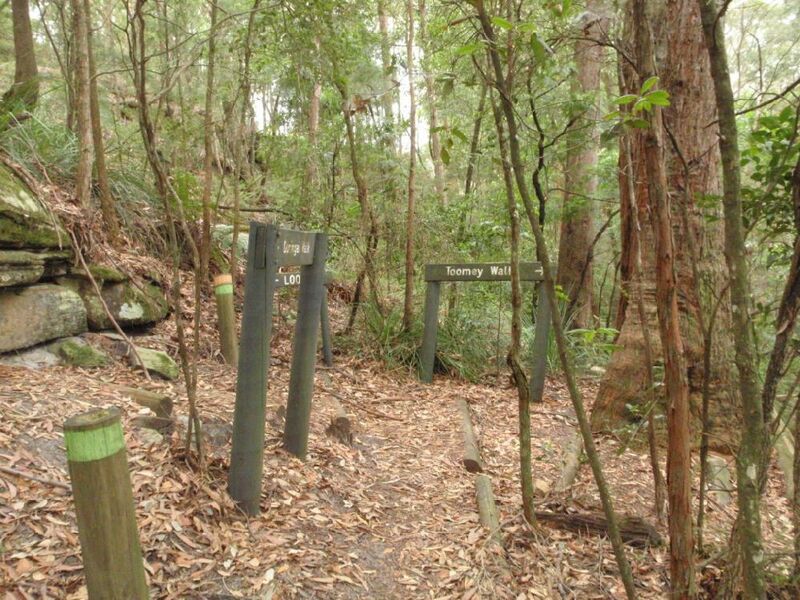 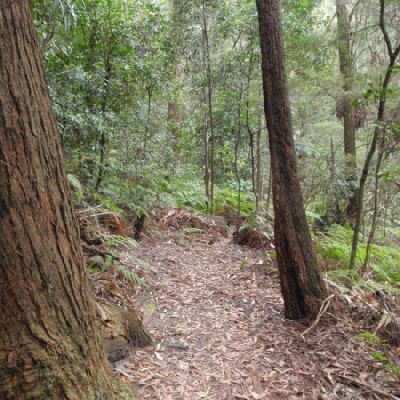 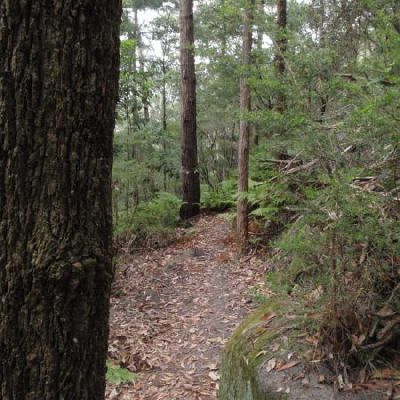 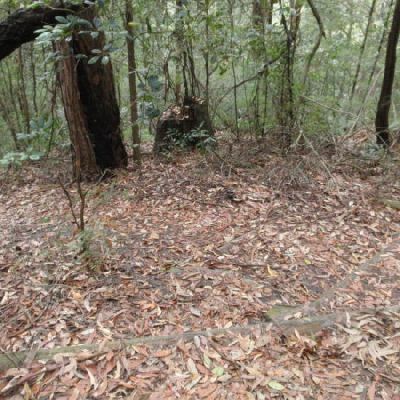 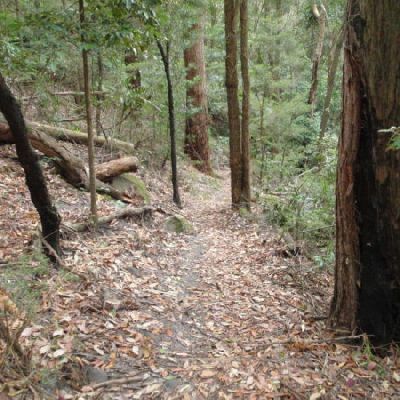 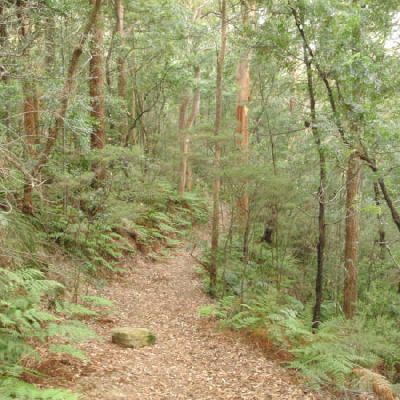 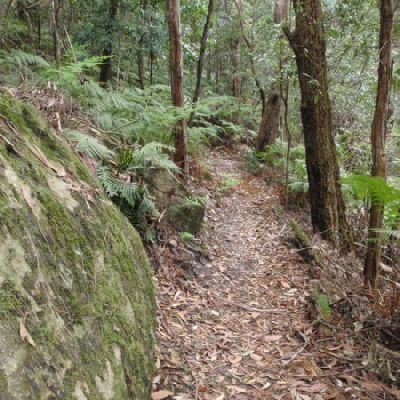 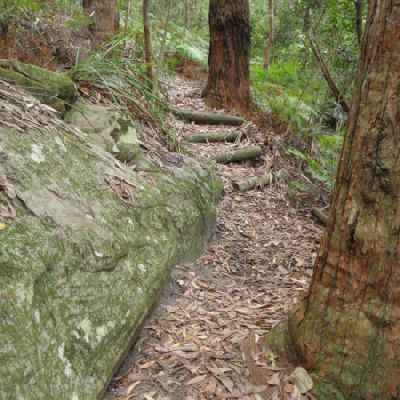 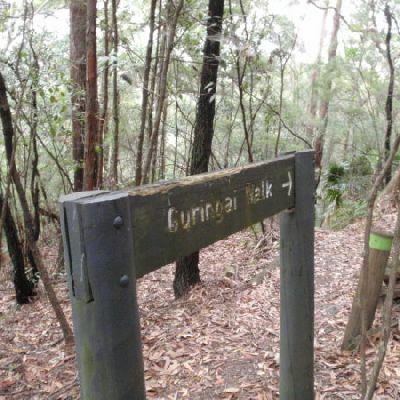 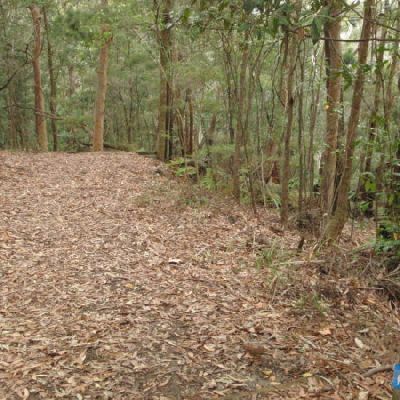 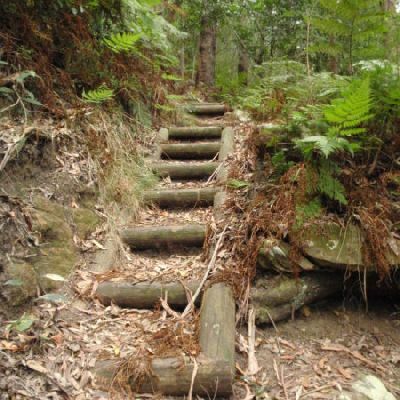 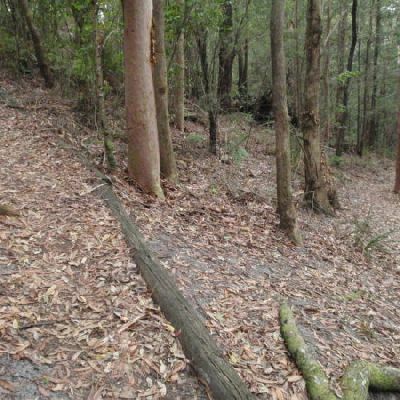 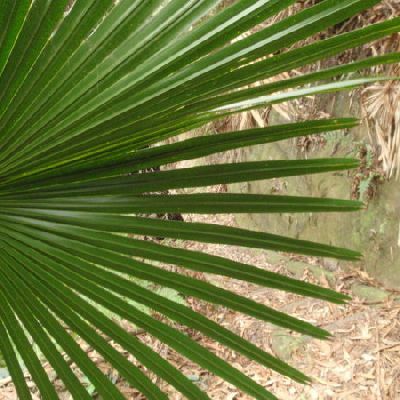 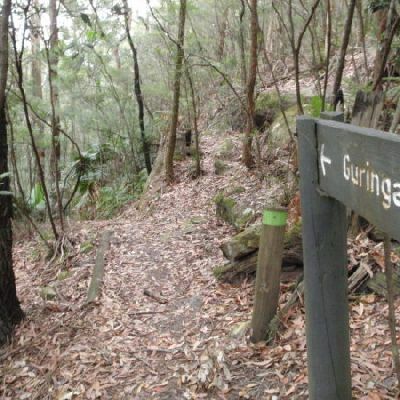 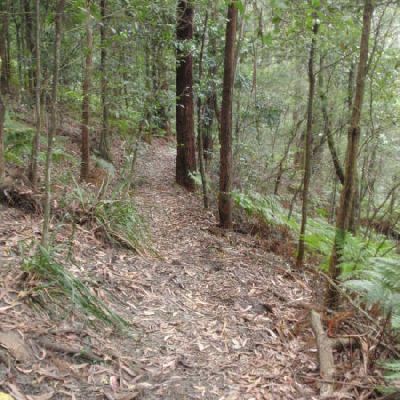 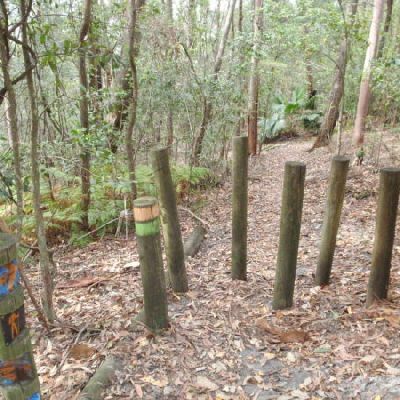 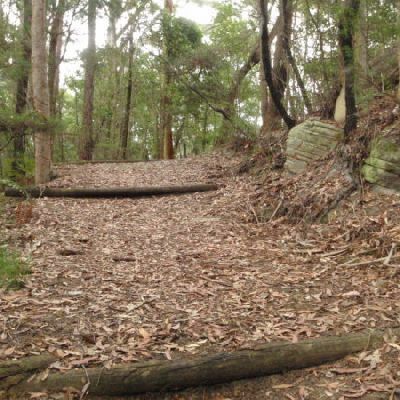 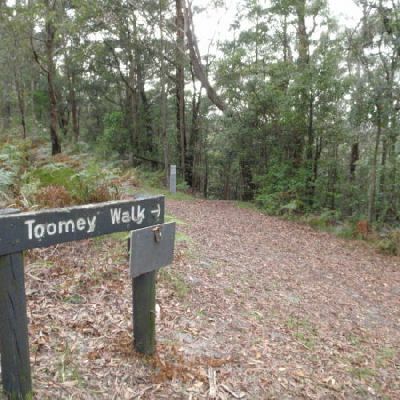 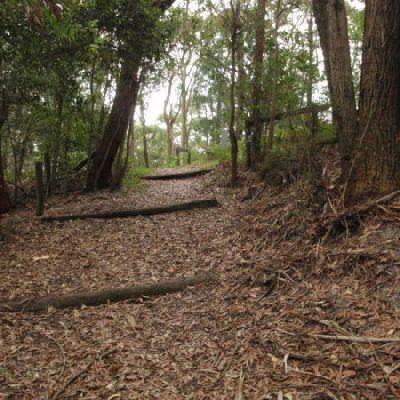 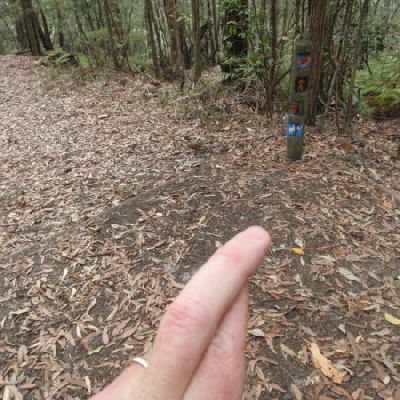 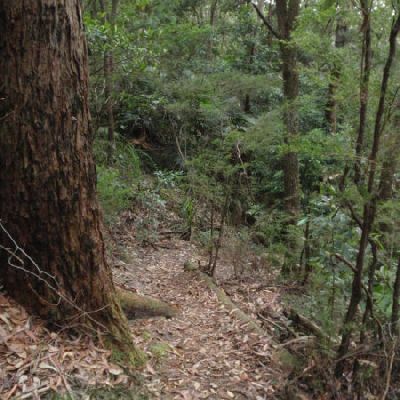 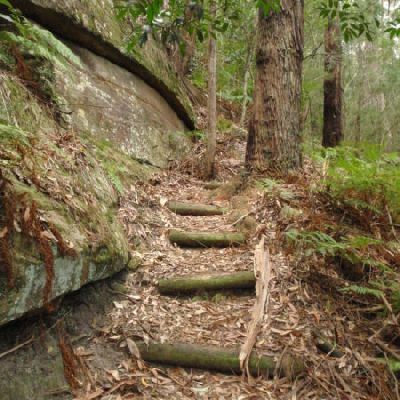 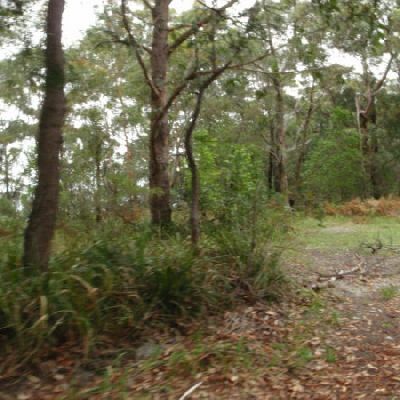 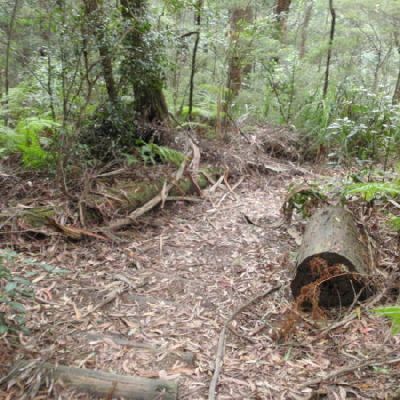 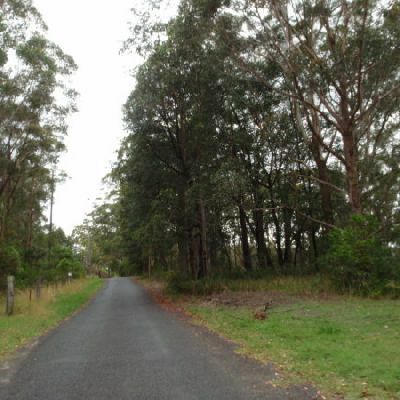 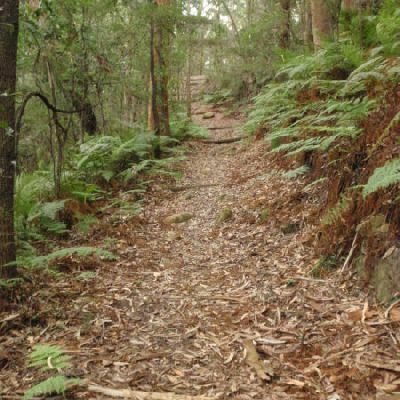 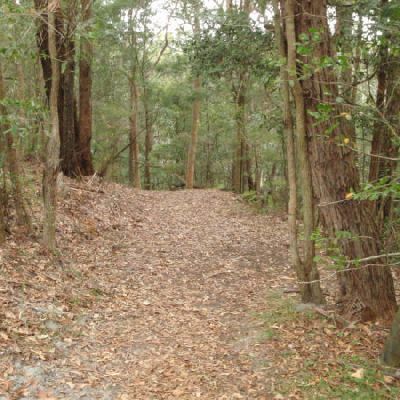 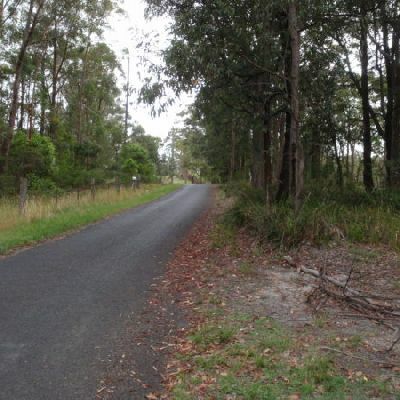 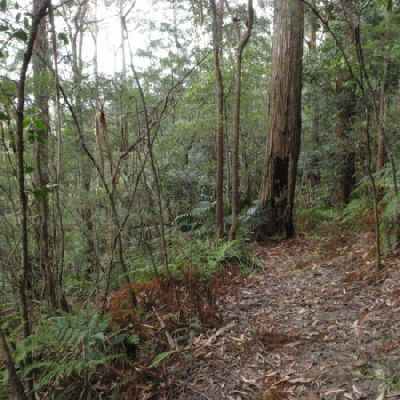 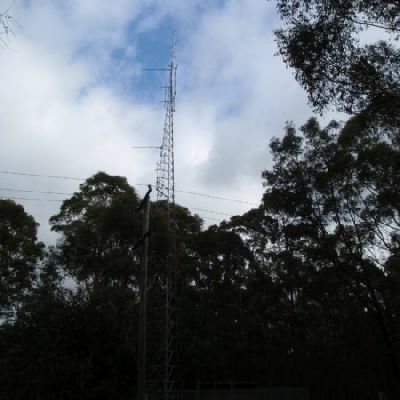 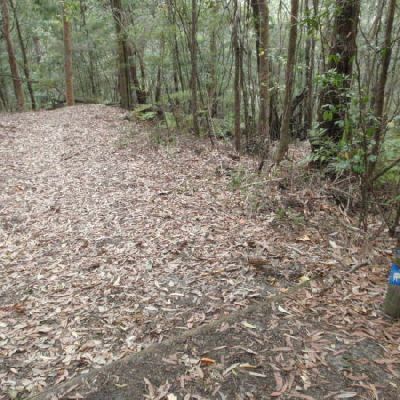 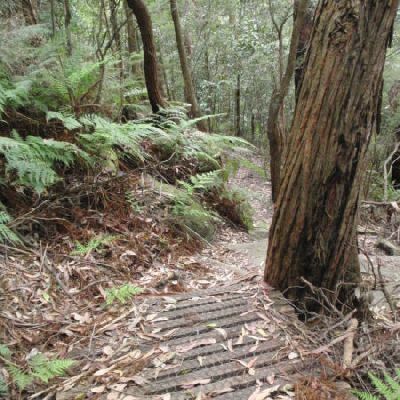 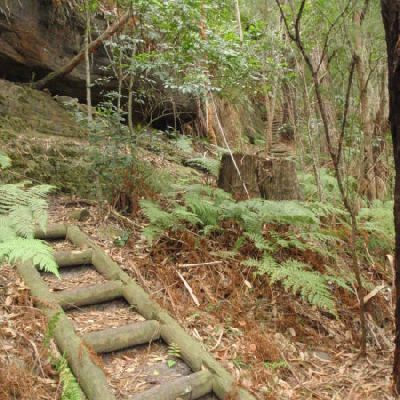 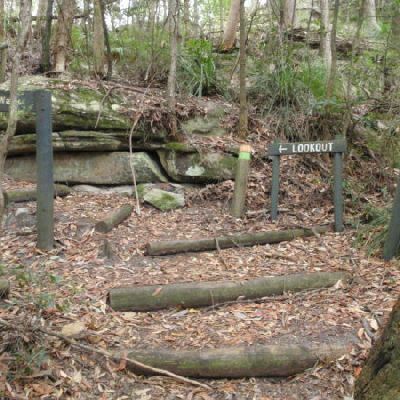 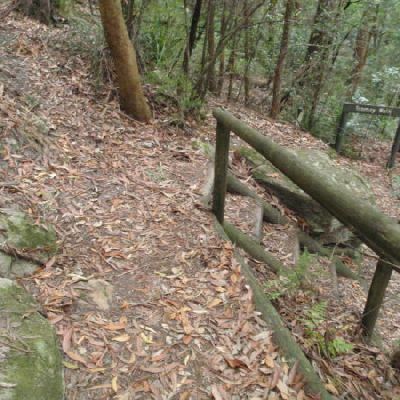 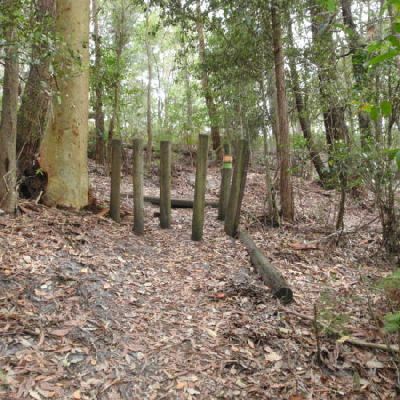 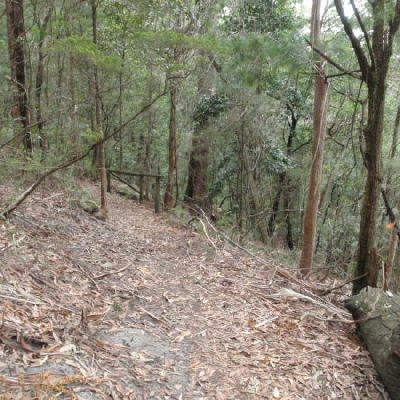 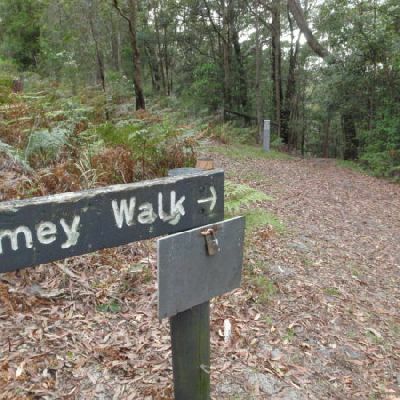 This walk is a great way to explore the diverse forests of Katandra Reserve. 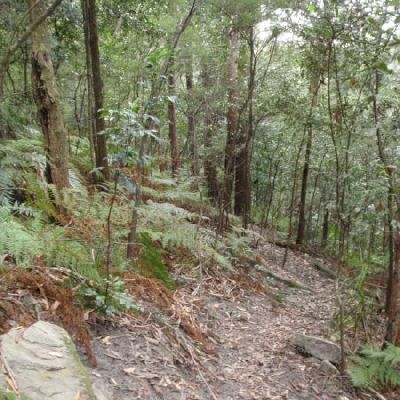 Starting with the views from St Johns Lookout, this walk heads through the open forest, past many mossy rocks, then heads into the valley and rainforest. 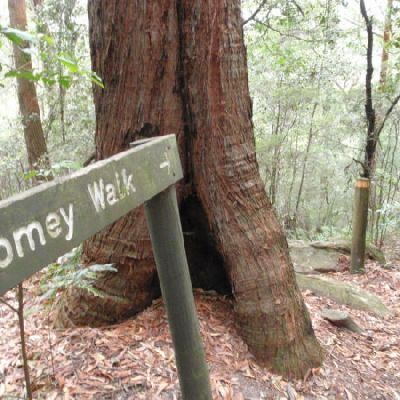 On the valley floor, the walk gently meanders past some great examples of Strangler Figs on the way to Seymour Pond. 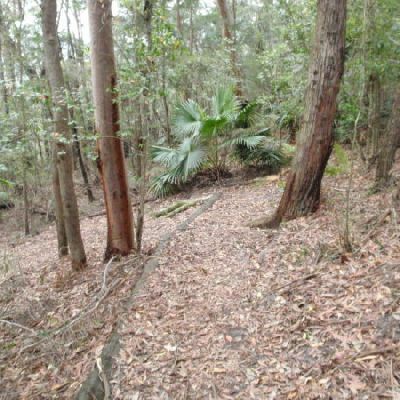 From the pond, you walk through another palm-filled valley and then open forest, before arriving at the Katandra Rd Picnic Area. 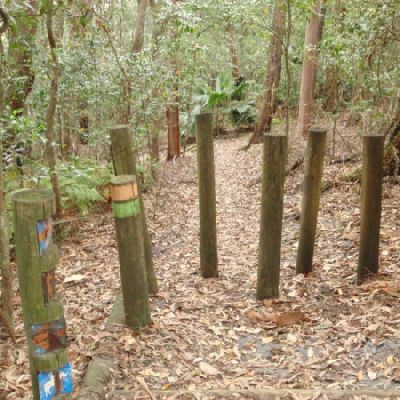 This walk explores many highlights in Katandra Reserve. 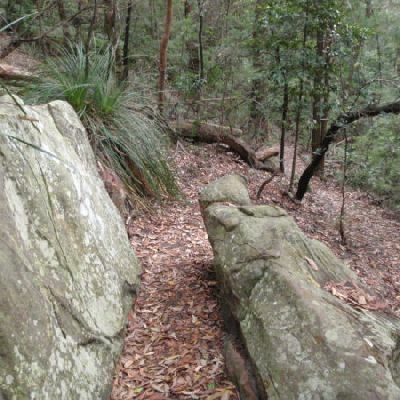 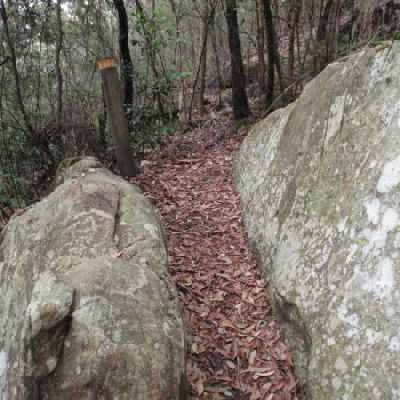 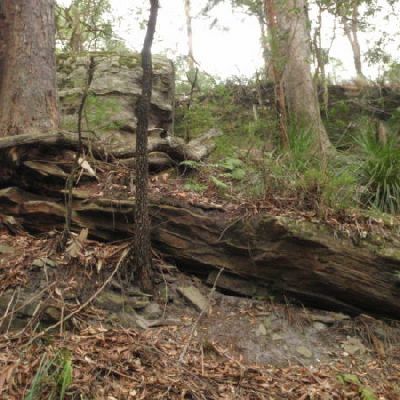 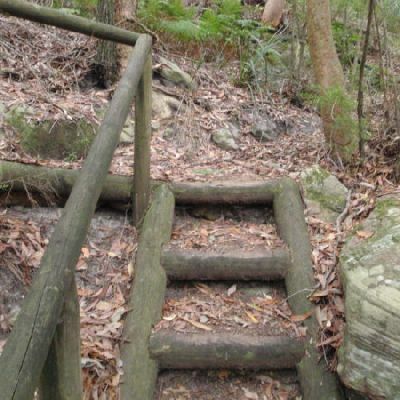 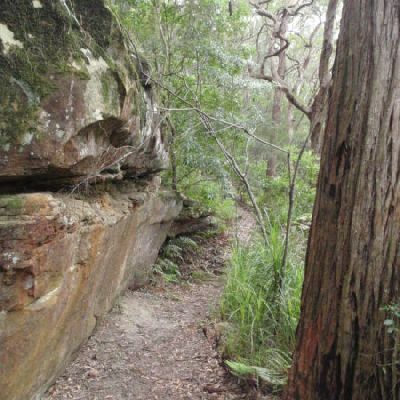 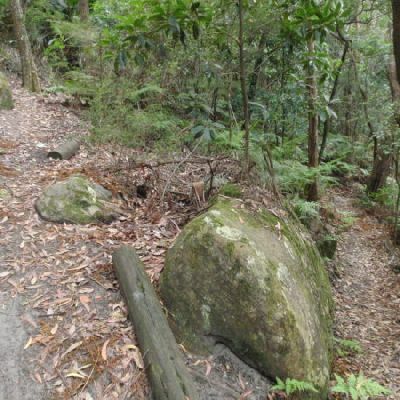 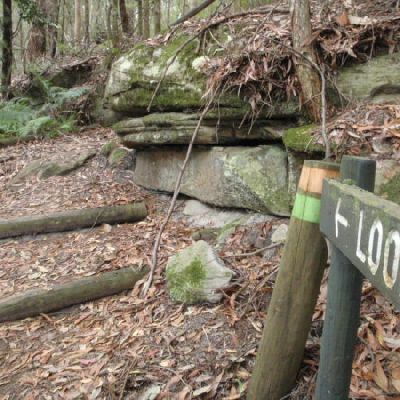 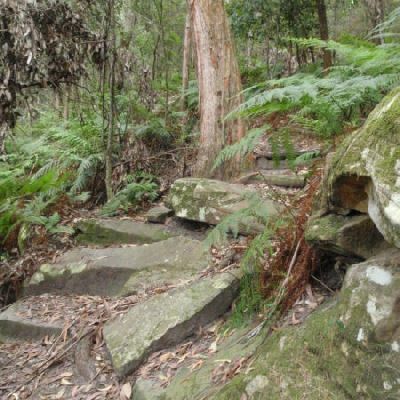 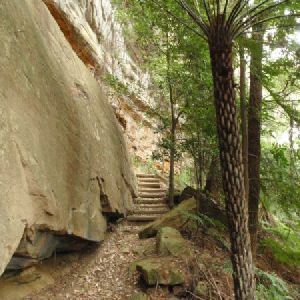 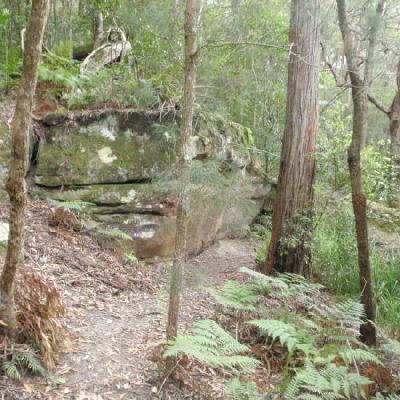 Starting from St Johns Lookout, this walk winds down the hill into the much denser forest of the valley, enjoy many interesting rock formations on the way. 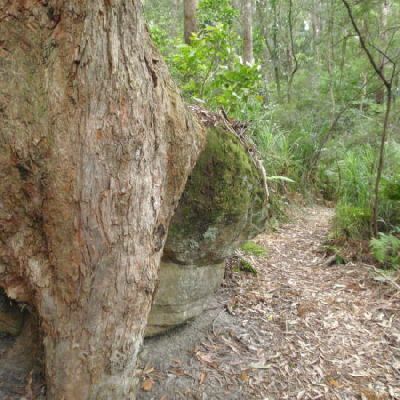 Once in the valley, you walk past some fantastic examples of strangler figs before heading around Seymour Pond, enjoying the water birds. 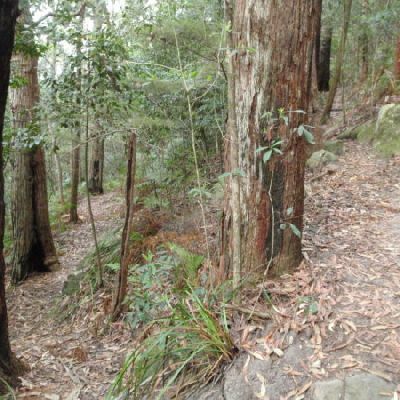 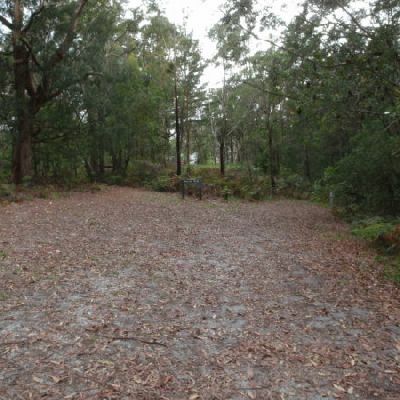 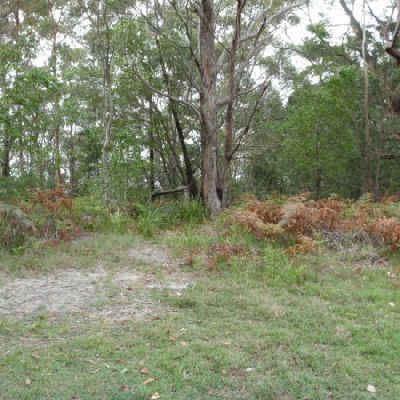 After resting at one of the picnic areas, you follow Graves Walk up the ridge, enjoying the open and dryer forest before returning to the car park. 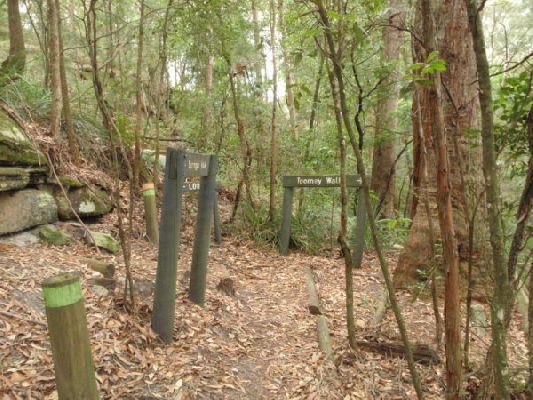 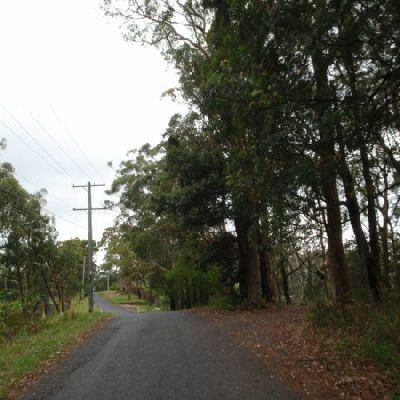 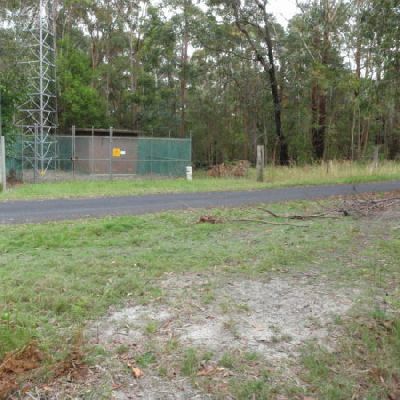 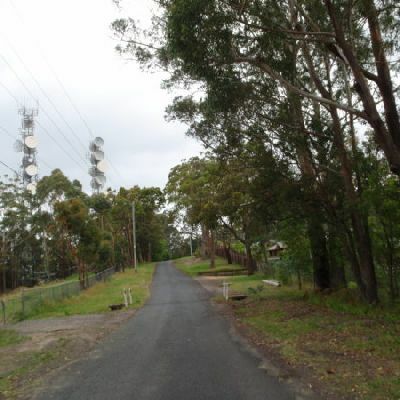 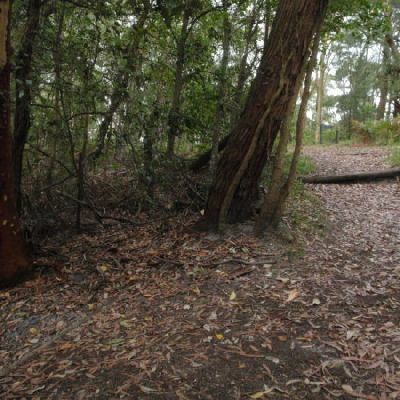 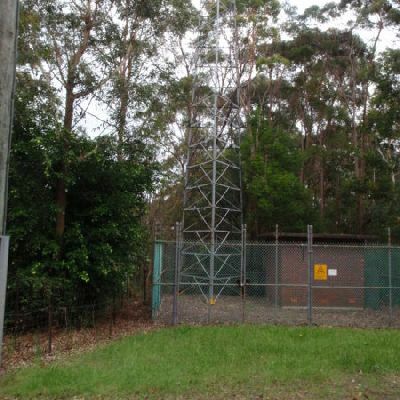 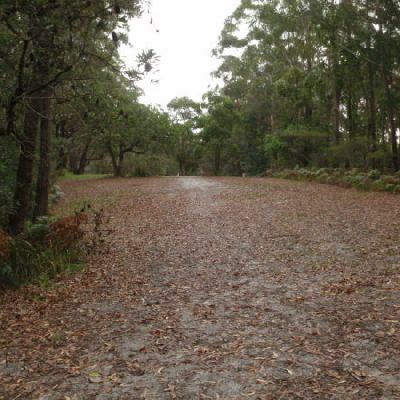 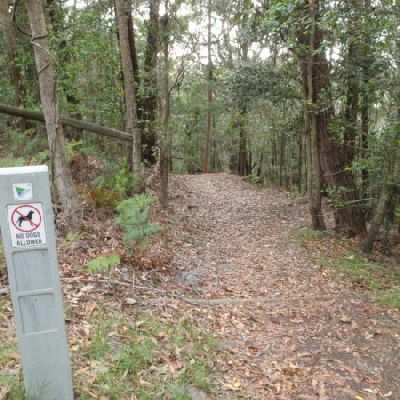 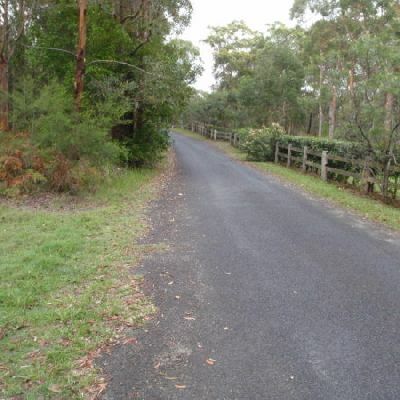 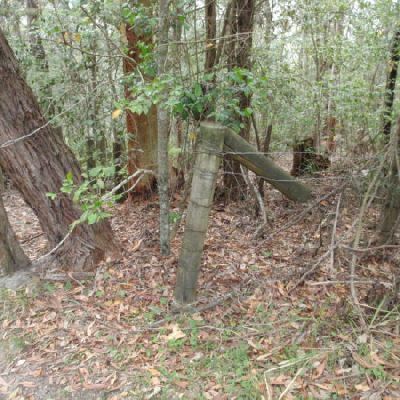 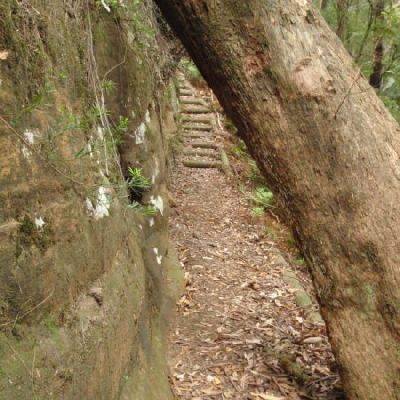 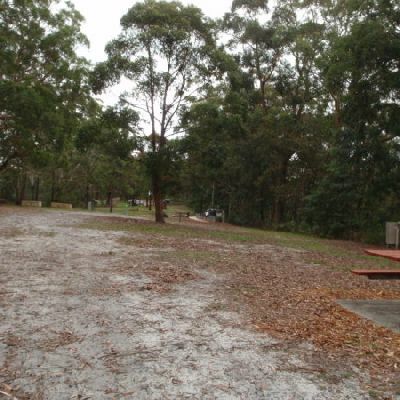 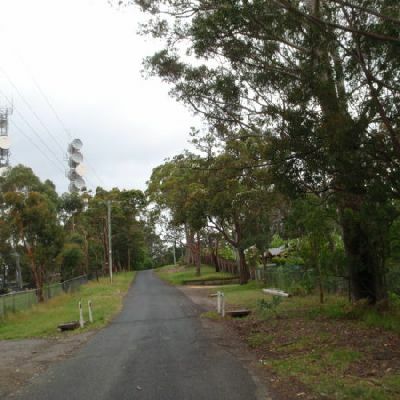 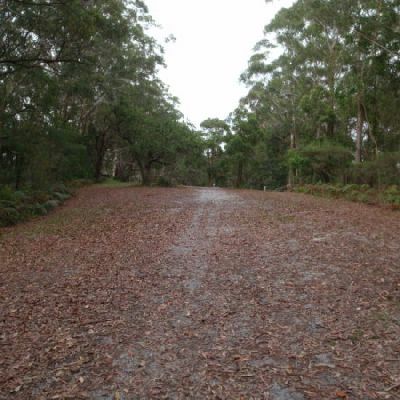 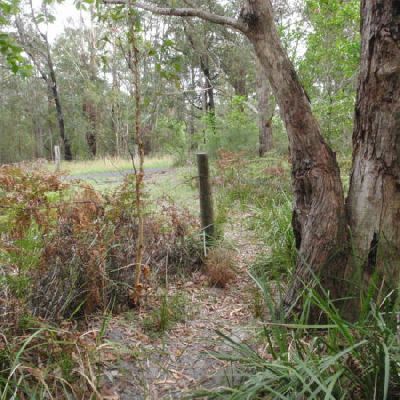 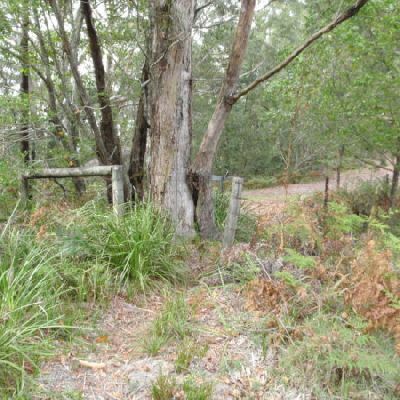 This walk is a great way to explore the many highlights of Katandra Reserve. 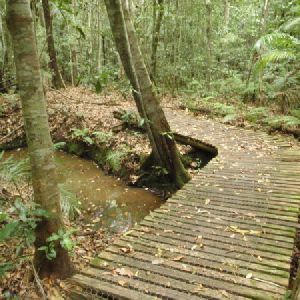 Starting at the lower picnic area, you circumnavigate Seymour Pond via the Waterman Walk, then discover some wonderful Strangler Fig trees in the rainforest. 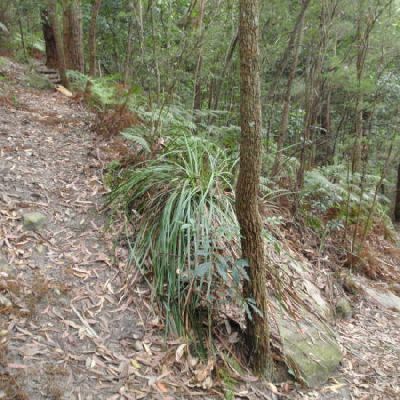 As the walk climbs, the forest dries out a little, which opens up more views. 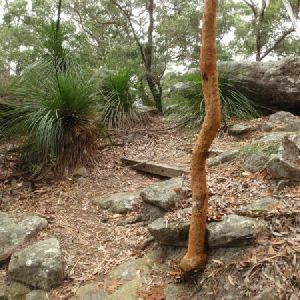 Taking the Guringai walk along the base of the cliff will then bring you up to St Johns picnic area and lookout. 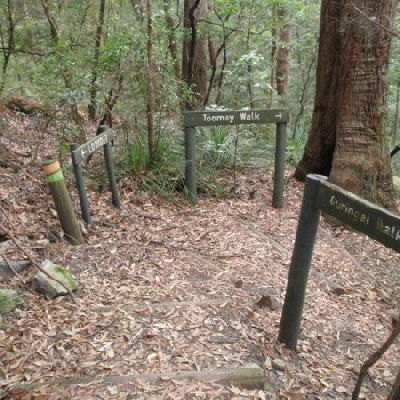 After enjoying the views from the top, take Graves walk down along the ridge and back to your starting point.